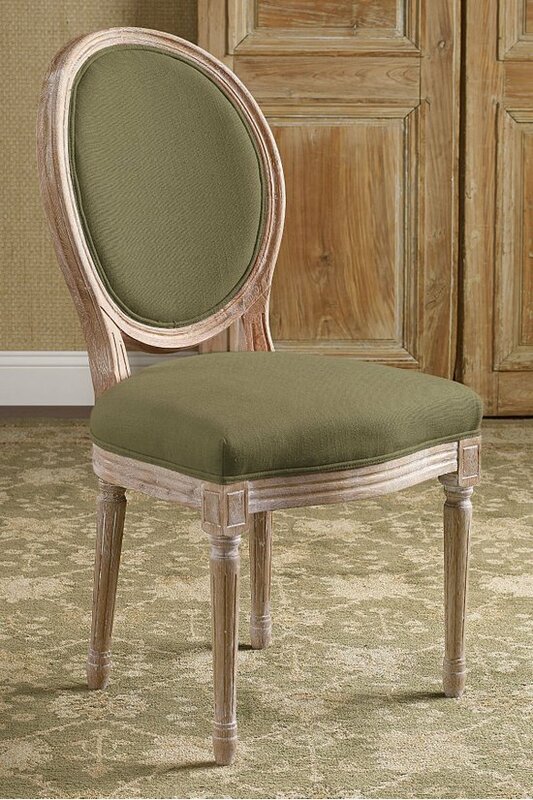 With more than a nod to elegant Louis XVI design, our oval bergère takes a less formal stance with richly textured upholstery and a substantial hand-carved, vintage-washed oak frame. Endlessly useful, these chairs look equally chic at a writing desk or vanity, in multiples around a dining table or anywhere else you need some occasional seating. As seen in HGTV Magazine. Chair has an additional delivery freight charge of $65.00. Oval back is fabric covered. Overall dimensions: 20"w x 24"d x 39"h.
Interior seat: 20.5"w x 17"d x 20"h off floor.